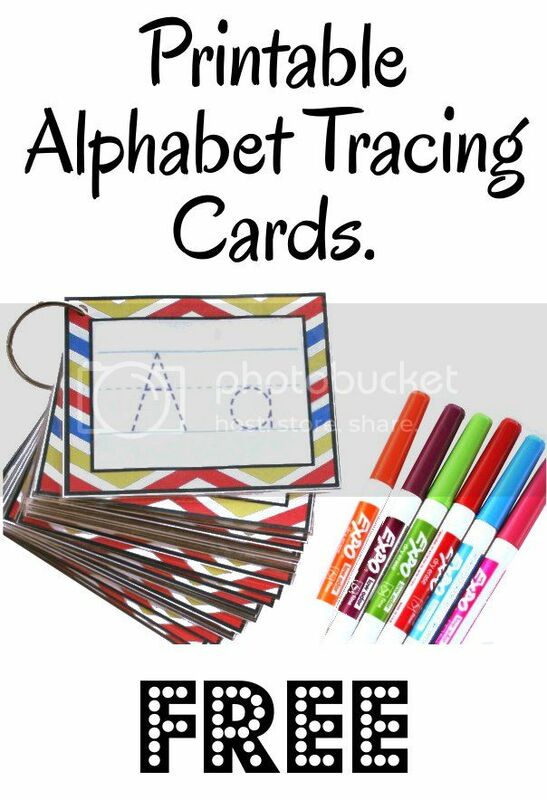 The girls have been working on their handwriting and I thought it would be a great idea to make a set of mini tracing cards. I laminated the cards so that they can be used with dry erase markers. I also punched holes in the corners to clip them all together.